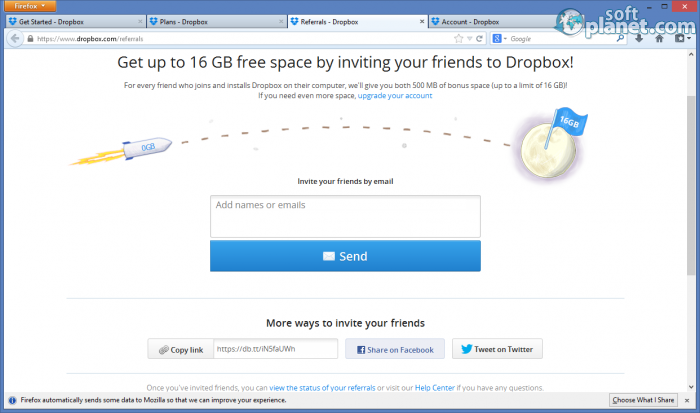 SoftPlanet makes it possible for everyone to get free Dropbox download directly from our servers. There is no registration needed for downloading. Do you want to have a box which contains all your information in one place and is accessible from all over the world? 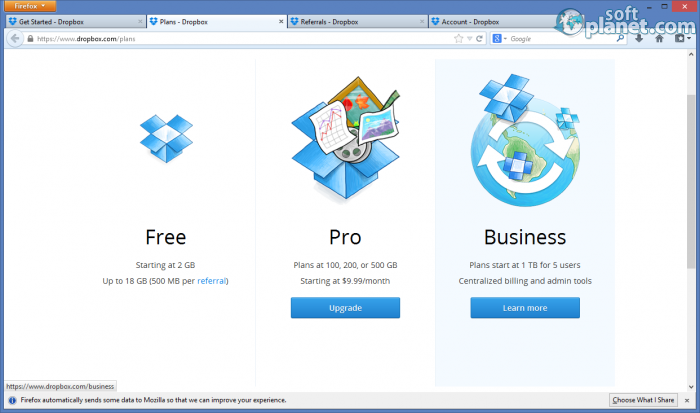 Dropbox 3.12.6 offers just that, as you can upload or download files from the cloud-based folder which contains all the files that you have uploaded there before. Also you can share the files that you want with your friends or they can share their files with you. In this way the app acts like The Luggage of Rincewind, a character created by Terry Pratchett, that follows its owner even to the end of the world and beyond. So if you want to feel like Rincewind, but being not so cowardly, then use Dropbox 3.12.6 and you will have your own Luggage that will follow you no matter where you go. Accessing your files is a piece of cake with Dropbox, because you only have to create an account and after that you can use the space that it offers you. Later you can download the app on another computer and you will be able to log into your account and access your files from there. Of course you can add more in your cloud based folder and this can be done from any computer as long as you have Dropbox there. If this is not enough for you, then keep in mind that the app offers you to share your content with your friends, and also they can share their Dropbox content with you. It is a bit difficult to describe the content of Dropbox, because in a way it doesn't have one. There are two ways in which you can use this awesome app. 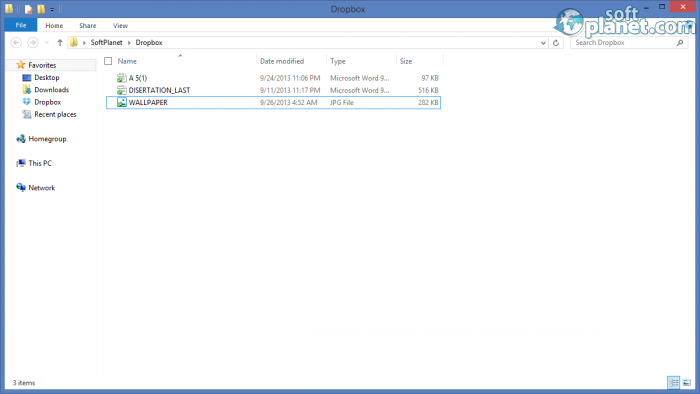 The first is to drag-and-drop the file that you want to save to your cloud-based folder on the icon of the program. Also you can open this folder from the icon and manage your files from there. The second way is a more useful way in which you can use this application, and one that gives you more choices and ways to control it – you can use it from the web page of the program which gives you all the tools that you need. There you can manage your files and photos, share them, you can also save links or follow your events. Besides that you can create new folders and adjust your settings. There are two ways in which you can increase your initial space of 2 GB. 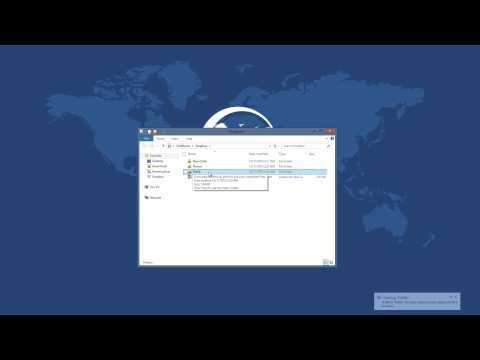 The cheaper way is to refer Dropbox 3.12.6 to your friends, as you get 500 MB for each one of them that joins and installs the program on his/her computer. This way you can upgrade your free space up to 18 GB. The other way is to pay a fee for every month that you use the app; the fee starts at USD 9.99 for 100 GB and can go as high as to offer you up to 500 GB. There is also a business plan that starts from 1 TB for 5 users! Dropbox deserves to be called the Luggage, by Terry Pratchett, of every user out there, because the app offers enough space for everyone and as a cloud-based app it can be used everywhere. Now with this new version of the software, accessing files from each place on the planet has never been easier. 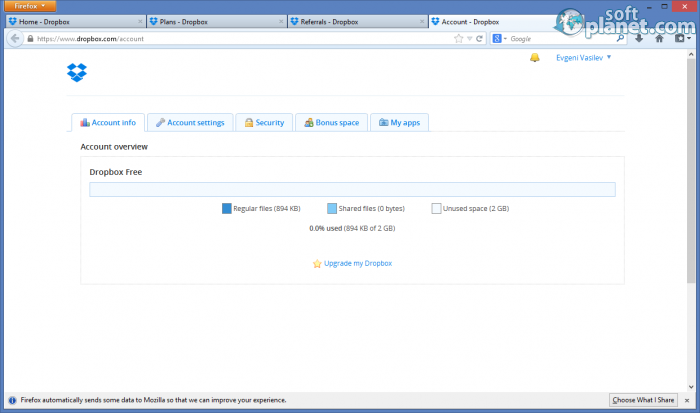 Dropbox 3.12.6 is absolutely necessary for those of you, who need to full admission to their data on the go. This software and cloud storage system are used by millions over the world, so if you don't trust us, trust them. Feel free to share your personal observations regarding this amazing app. 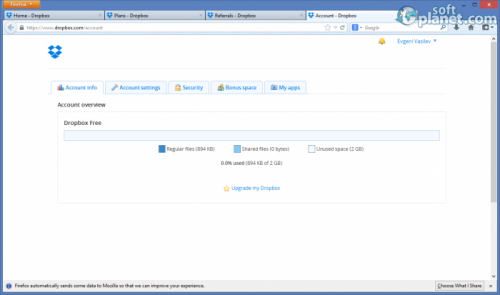 Our security scan shows that Dropbox is clean from viruses. 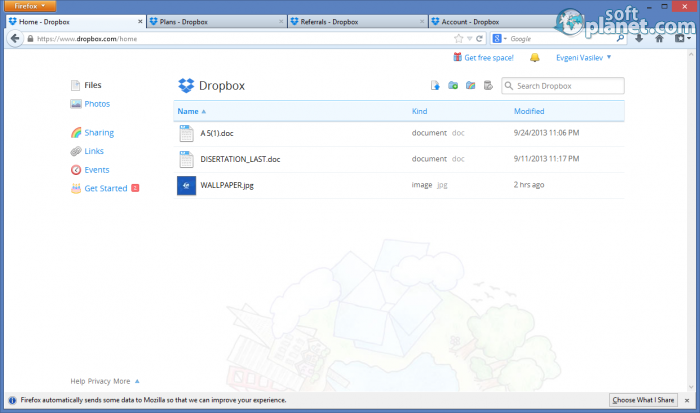 The current version of Dropbox has been scanned by our system, which contains 46 different anti-virus algorithms. That ensures that Dropbox 3.12.6 is 100% safe for your computer.